NXT rolls on serving us dollops of great sports entertainment. This has been a pretty good week of wrestling thus far, with two good main roster shows. And NXT was no different, with one genuine surprise. It was a very easy show to watch, much like always. 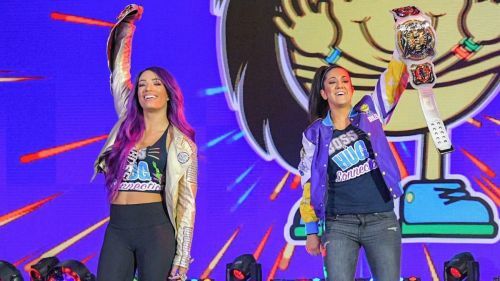 We're headed for the TakeOver event on WrestleMania 35 weekend next. And the Dusty Rhodes Memorial Tag Team Classic tournament kicks off on NXT TV very soon. It looks like we're in for some great wrestling in the weeks that follow. As always, I've identified 5 points from this show that I found particularly interesting with long term implications. I invite you, folks, to leave a comment and let me know your thoughts on the current NXT product. Do you still think that NXT is the most exciting WWE brand?
. @KingRicochet and @WWEAleister teaming up in the #DustyClassic? Ricochet and Aleister Black are both main roster superstars now. They made their debuts as singles competitors but have been teaming on RAW and SmackDown Live in the weeks past. In fact, both men teamed up to defeat not just the formidable team of Shinsuke Nakamura and Rusev this week, but also the RAW Tag Team Champions, The Revival. Carrying forward this momentum, they are now teaming up in the Dusty Rhodes Tag Team Classic tournament too. But more importantly, they have maintained that they have unfinished business with The Undisputed ERA. And they weren't the only team to have a problem with the quartet that rules NXT right now. The Velveteen Dream had a showdown with Cole, Fish, Strong and O'Reilly in the parking lot. It is clear that Adam Cole is next in line for a shot at the WWE NXT North American Championship.